Mahindra will be launching their new SUV this year. The Mahindra S201 (codename) is a five-seater SUV that will rival the Maruti Vitara Brezza and Ford Ecosport. The SUV is built on the Ssangyong Tivoli platform. 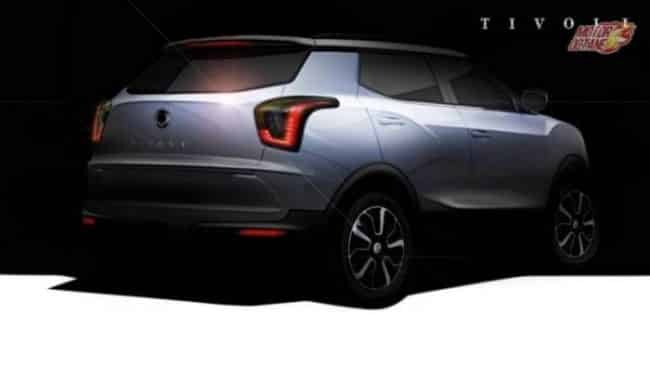 We had earlier reported that Mahindra will not be getting the Tivoli as shown at the Auto Expo 2016. 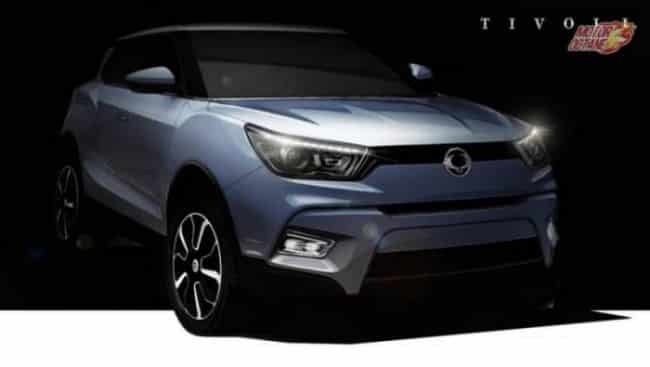 Instead the Tivoli based S201 will be launched by the end of this year. The company has been working on an all-new drivetrain for this new SUV and hence it is undergoing rigorous testing to ensure that it withstands Indian conditions. The S201 has been spied testing on a few occasions. What is the Mahindra S201 all about? We share all the details in our preview. Read on further to know more. This SUV will be based on a monocoque platform. Before this, it was the XUV500 that was built on a monocoque chassis. Mahindra will make this a global SUV and export it to different markets as well. This will be made and designed by the Mahindra team. As now even Pininfarina is a part of the Group, there will be inputs taken from the Italian design house as well. The pricing will be key to the S201. This SUV will be priced at about INR 9 lakhs to INR 12 lakhs (on-road). This is how it will become competitive with the other SUVs. This will be a stylish SUV, targeted towards the youth. Mahindra has been targeting the youth off lately, with products like KUV100. The S201 will be designed to look like a compact SUV, and it will carry forward the design language of the Mahindra’s current UVs. The final design of the vehicle is complete, however some of our sources update that inputs are being taken from Pinnanfarina for fine tuning it. The Mahindra S201 will be a five-seater SUV and will be a bit shorter than four metres. This is only when it will be able to compete with other SUVs in its categories. This SUV will be under four metres and shall be competing with the Ford Ecosport, Honda WR-V, Tata Nexon and the Maruti Vitara Brezza. The interior are slated to be modern in design. Not much is yet known about the look, however, it will get a host of features. This will try and do what the XUV500 has done already in its segment. There will be some amount of cannibalisation with the Scorpio but the S201 will be a five-seater, monocoque chassis with more features. 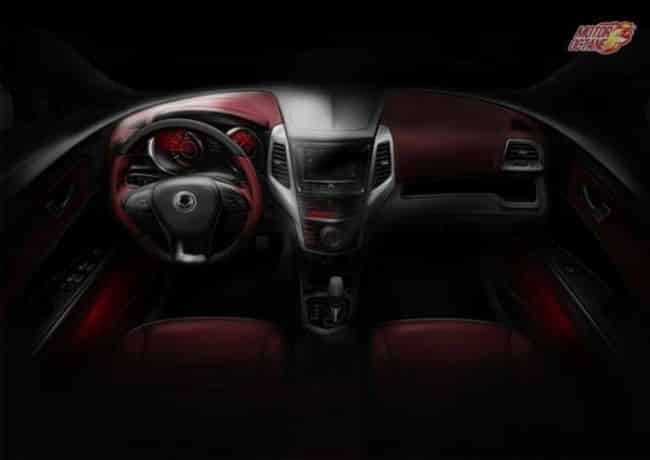 The Mahindra S201 will get features like multiple airbags, ABS, push start and stop, keyless entry, sun roof, leather upholstery, two rows of seats and a large boot. There will be a touchscreen system with Android Auto, maps and reverse parking camera as well. In terms of features, Mahindra will be looking at loading this SUV with one of the highest set of features in this segment. Mahindra will be a late entrant in this segment, but will try to capture a large pie. The Mahindra S201 is likely to get a 1.5-litre diesel engine. We also assume that there will be a 1.6-litre petrol engine as well. The 1.6-litre petrol engine churning about 125bhp of power and the diesel will be about 110bhp. This engine will come with a six-speed manual transmission. There will even be a six-speed auto, from AISIN on offer as well. The 1.6-litre petrol engine is already in use on the Ssangyong Tivoli and the same is expected to come on the Mahindra S201 as well, albeit with some changes and a little bit of tweaking. Mahindra will offer the S201 with a 2WD option in India and for other markets it will be AWD and 2WD both. There is also a possibility that Mahindra could export this SUV with a 2.0-litre petrol engine also. There is also likely to be an all-wheel drive version on offer as well. The Mahindra S201 will be competing with the Ford Ecosport, Maruti Vitara Brezza, Tata Nexon and the Honda WR-V.